In December 2015, after nearly 74 years in business, Bove's restaurant on Pearl Street in Burlington closed its doors, and its fans lamented the loss. Now they can taste Bove's specialties again in an atmosphere reminiscent of the restaurant ... on special occasions. Last year, when the Bove family moved their sauce manufacturing operation from Ohio to a facility on Route 7 in Milton, they included a plan for a dining room. They've furnished that room with décor from the restaurant — including its iconic neon sign and jukebox — and made it available to rent for gatherings of 20 or more. "It's for catering birthday parties, receptions, office parties, things like that," explained Mark Bove. "[Guests] can have lasagna, spaghetti and meatballs, antipasto salad. The only thing that's changed is the location." Even the bathroom tiles and the bricks look the same, he said. Visitors can also swing by on production days and sample the goods while watching the action through a viewing window. 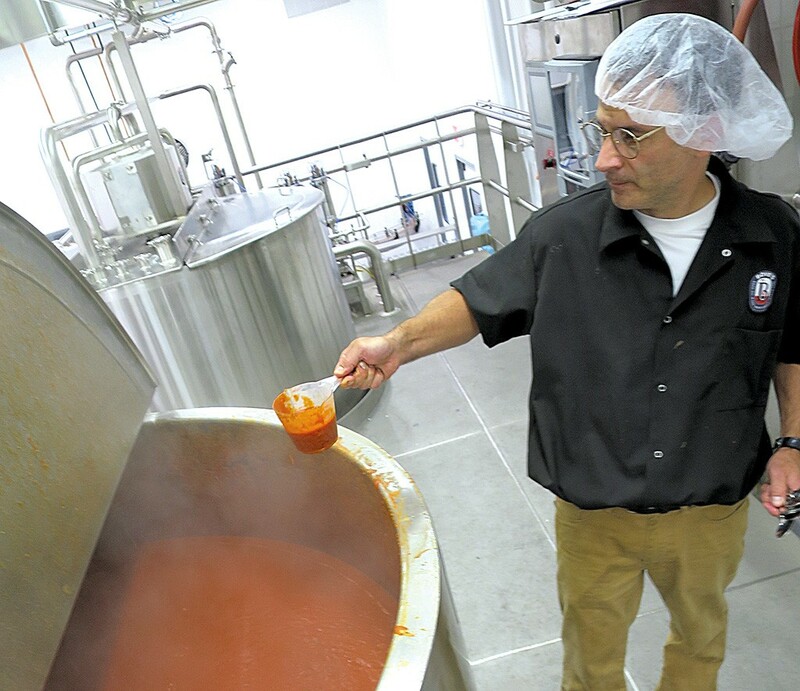 While the family produces sauce in a pair of modern 600-gallon kettles, Bove noted, they still have his grandma's stirring spoon, which her husband whittled for her with a pocket knife. While Bove's is currently open for catering and visitors, grand opening festivities won't happen until after Labor Day, when the family will invite some of their most loyal — and famous — customers to celebrate with them. "Sen. [Patrick] Leahy and [Sen.] Bernie [Sanders] will come up for the grand opening," Bove said. "Bernie and [wife] Jane were regular customers every Saturday night. He would get his pork chops, and Jane would get her vodka sauce." The catering business, said Bove, is a valuable opportunity to reconnect with the people he and his family love and miss from their restaurant days. "I really wanted to pay tribute to where we came from," he said. "We didn't want to lose our roots. I wish Dad was able to see this, because it's really awesome."